Since 2001, The Waterfront Group Business Brokers have guided San Francisco Bay Area business owners in the confidential sale of their companies. We provide business valuation and discreet marketing of your business, along with comprehensive exit planning consulting. If you are thinking about selling your business, buying a business, or if you have questions and want to learn more about the exit planning process, please contact us for a complimentary consultation. 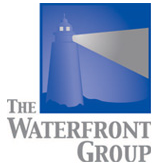 The Waterfront Group is a small, responsive M&A / Business Brokerage firm based in San Francisco. Our professionals are well-educated, seasoned deal-makers with decades of combined operational experience and brokerage credentials in business services, distribution, manufacturing and technology. We serve current Northern California business owners with companies that typically generate revenues between $2M - $30M. We are proud to be affiliated with several professional M&A advisory organizations, such as the International Association of Business Brokers (IBBA), the M&A Source, the California Association of Business Brokers (CABB), Association for Corporate Growth (ACG) and the National Association of Certified Valuation Analysts (NACVA).